What is a point at Forex and how to calculate it? One point in the foreign exchange market is a minimum change in the exchange rate, a "step" that the price of the exchange can move (change). Currency quotes are the parameters, the coefficients of the relationship of prices: one currency to another. They are presented in the form of numbers. If we consider and analyze the currency, then its value is rarely static. This is due to market changes: forex movements are constantly circulating, and forces are constantly leaning toward one currency or the other. The point and will be the minimum step, which is responsible for changing quotations with a decrease or vice versa, an increase in the currency. If we consider the main currency pairs (for example, the euro/dollar) then the quotes are represented in the form of x, yyy. Therefore, the point is the minimum value of 0.0001. But on Forex, there are pairs whose quotes are represented by the format-x, yyy (for example, dollar / yen). In this variant, the minimum step-point is 0.001. But why do traders need information about the value of the point? Know the value of the 1st point, if you are a market participant, it is simply necessary. At least in order to calculate the lot volume for the transaction. Calculation of such a parameter affects possible risks and future profitability, and by determining the value of the movement of a currency pair (price by point), the player can safely calculate the numerical equivalent of the commission (spread) and then translate it into financial indicators. If we consider the mathematical formula for calculating the cost, then in the calculations there is nothing complicated: the trader determines the size of the point, and then multiplies its value by the volume by position (lot), and this product divides into the currency pair's rate at the current time. Such a formula is ideal for use in those pairs where the dollar is in the first place. For example: USD / JPY, USD / CHF. For other pairs in which the dollar is at the second position, you can use another formula: the value of the point = the minimum change in the exchange rate * the volume of the transaction. To calculate the cost of one point for bids in 0.1 lot, you need to apply to calculate 10,000 units of the base currency. In turn, the price of the point for the pair EUR / USD = 0.0001 * 10 000 = 1$, with a lot of 0.1. As you can see, nothing super complicated. 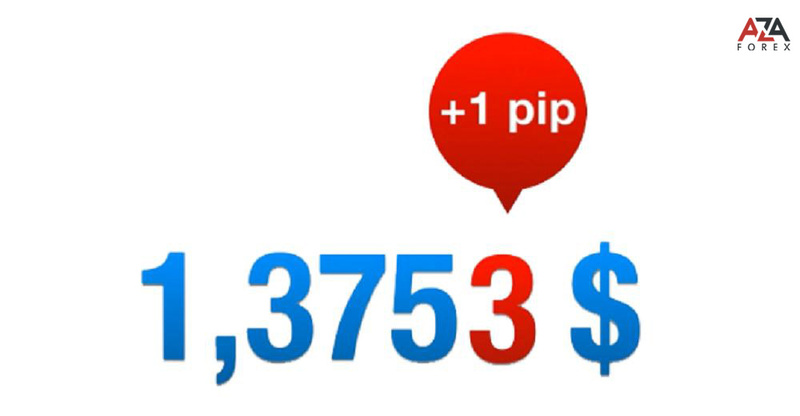 That is, the price of one point in the forex market, for a trader, is the amount of funds that it can purchase or lose, when trading with the selected volume of the deal (lot). Different brokerage companies and dealing centers, and for different types of trading accounts, set the minimum value of the lot (the minimum allowable), for trading. Based on it, you can calculate the price of the point by currency pair, and therefore, determine for itself the minimum amount of the deposit, based on the rules of management. If the player already has a deposit (with cash), he can easily calculate the lot volume he needs. This is done on the basis of statistical indicators in terms of its tactics, in terms of losses and the average indicator of the profitability of the trading system. Choosing a trading account for themselves, each trader carefully evaluates its type. To date, brokers offer to open accounts with 4-digit or 5-digit quotes. The difference is that by opening an account with quotes 4 digits (after the decimal point), the minimum step-point for the price change will be 0.0001. A 5-digit quotes act as an exact analog, but the value of the last point is not rounded. With such minor differences, it is still more advantageous for a trader to choose five-digit quotes: this is a cost saving and therefore this option is optimal. The point will be determined by the value of 0.00001. How much the player will buy or vice versa, lose, in consequence of the price movement, will be nothing more than the price of the point, and in the calculations it is the same for both the four-digit and the five-digit quotes.